The Elder Scrolls Online is finally getting some dragons as well as the highly-anticipated Necromancer class in the upcoming Elsweyr expansion. Every year The Elder Scrolls Online seems to somehow find a way to top their previous annual expansion. The upcoming Elsweyr expansion is looking to really knock it out of the park though. While last year’s Summerset update was good, there wasn’t really anything that tied it all together. However, that’s won’t be the cast for Elsweyr as there is one overlying key theme that is sure to please fans as well as a new highly-demanded character class. 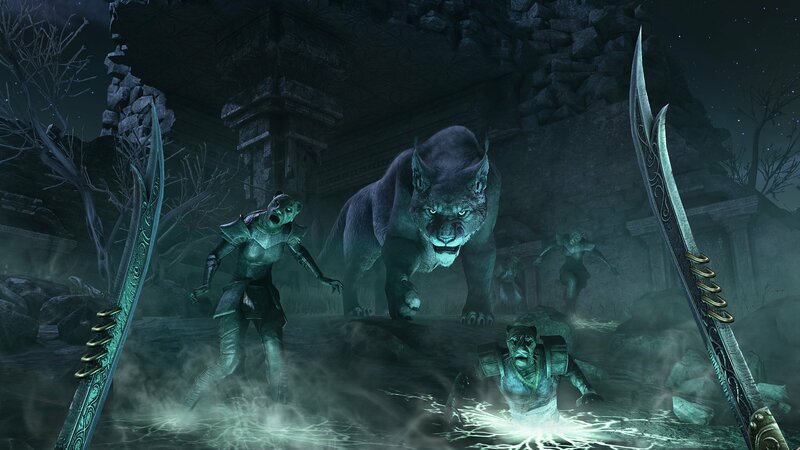 Elsweyr is the home of the Khajiit, a cat-like race of people whose ancient ruins pre-date even the elves. Visually the environment has been inspired by the ancient ruins of India and Thailand and there are three new biomes for players to explore made up of lush grasslands, a desolate savannah, and an exotic forest. It’s a land that is all too familiar with war and one just happens to have broken out recently. When the latest chapter begins players will find themselves in the southern territory of Elsweyr. Recently, the Imperials have invaded and conquered the northern section of the territory with the help of an army of Necromancers. If all that wasn’t enough, dragons have also been popping up all across the land and must be dealt with. 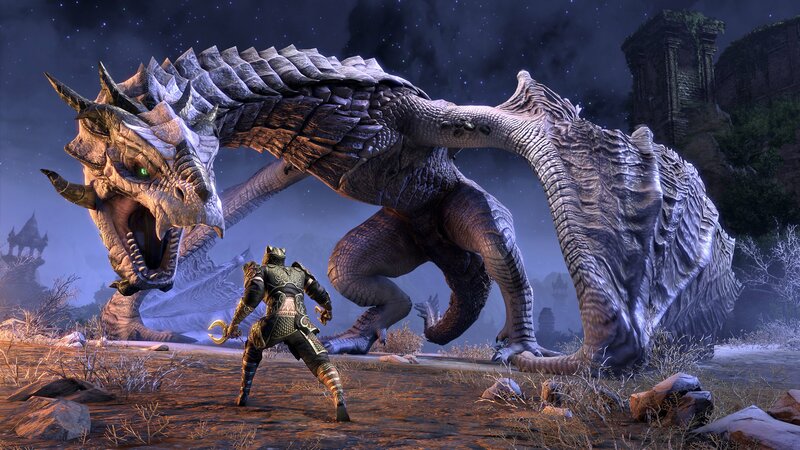 Dragons are not only finally making an appearance in ESO, but they’re also the main theme for Elsweyr. You can pretty much expect to find dragons big and small wandering the land, but since there are no Dovahkiin around, you’re just going to have to deal with them the old fashioned way and kill them. Some of the larger, named dragons you’ll have to hunt down will spawn in random locations to avoid players hunting them in a loop. The Elslweyr expansion will also finally give fans of the series the chance to play as the Necromancer class. It’s a feature that players have been asking for since the beta but the team at ZeniMax Online wanted to make sure they got it right and it didn’t end up just being a mage with some undead pets. Overall the Necromancer class is focused on corpse gameplay and situational awareness. They can raise the dead to their bidding and players will be able to unlock several skills that allow them to summon a selection of standard grunts, mages, and bombers. Players can also choose to allot their skill points to spells that can drain life from enemies or boost their own regen rates and that of their teammates. New players that are interested in slaying dragons using an army of the undead that they’ve summoned don’t need to worry about anything being level locked. All players of all ranks will have access to all the new content when it goes live on June 4 on PC, Mac, PS4, and Xbox One. There's an acoustic cover of a T Swift song mashed up with an old classic?